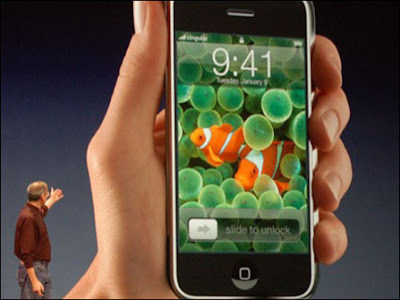 700,000 iPhones sold in the 1st weekend and surely surpassed all analyst predictions and shattered AT&T's record by selling more iPhones in three days than Motorola's RAZR did in its first month. Apple's supply of iPhones depleted at more than half of its retail stores less than a week after the cellular handset hit shelves at 6:00 p.m. ET last Friday night. American Technology Research predicts that the iPhone would likely be AT&T’s fastest ever selling product and that the iPhone could rank among the fastest selling consumer electronics devices of all time. Based on the cost of manufacturing an iPhone (post July 2), Apple would have made a profit of between $200million and $266 million in 3 days (not including marketing costs), on sales somewhere between $350million and $420million, significantly more than earlier estimates of Apple having a $300million weekend. Its an amazing sell out and definitely had lived up to the hypes from the day it was announced. I wonder what Steve Balmer of Microsoft would have to say about his earlier comments about the iPhone especially when he commented the iPhone for being the most expensive mobile phone in the world. Eat your heart out Steve. How many iPhone actually sold? How Tough Is the iPhone?